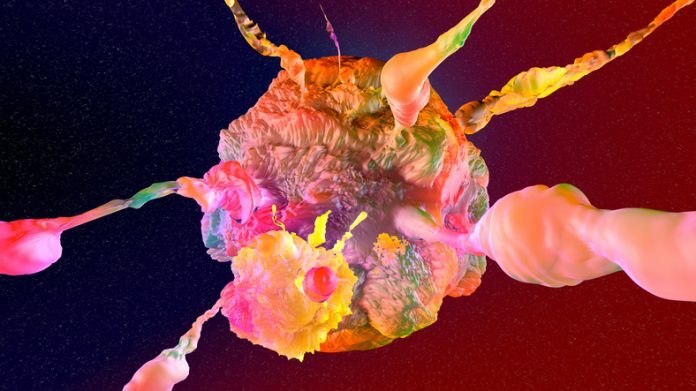 Scientists at Cold Spring Harbor Laboratory (CSHL) have identified a specific class of biomarkers that can tell a lot about how aggressive a patient’s cancer will be. In other words, the mutations that cause cancer don’t actually tell you all that much about who will end up surviving and who will end up dying from cancer. That’s why Sheltzer set out to find other easily identifiable factors that can determine a cancer patient’s prognosis. According to a paper (“Systematic identification of mutations and copy number alterations associated with Cancer Patient Prognosis”) published in eLife, his team not only traced each patient’s outcome—whether it be recovery or tragedy—but also took a closer look at genetic sites commonly associated with cancer-causing mutations. “Successful treatment decisions in cancer depend on the accurate assessment of patient risk. To improve our understanding of the molecular alterations that underlie deadly malignancies, we analyzed the genomic profiles of 17,879 tumors from patients with known outcomes. We find that mutations in almost all cancer driver genes contain remarkably little information on patient prognosis. However, copy number alterations (CNAs) in these same driver genes harbor significant prognostic power. Focal CNAs are associated with worse outcomes than broad alterations, and CNAs in many driver genes remain prognostic when controlling for stage, grade, TP53 status, and total aneuploidy,” wrote the investigators. Normally, the genetic information in a human cell comes in two copies distributed among 23 pairs of chromosomes. However, cancer cells often gain or lose chromosomes. He now hopes to launch a prospective analysis, closely studying new cancer patients for years after diagnosis. This could highlight which kinds of copy number changes are associated with which outcomes. “That would be one of the first steps towards taking what we’ve learned and translating it into a clinically useful tool that could also provide patients with peace of mind,” said Sheltzer.